The “Energy Stage” portfolio entry is currently under construction, please view the project over at GXN or come back later. Woods is based on the idea of creating a module, that can be combined in different ways to create a cheap but elegant cover over any given area. 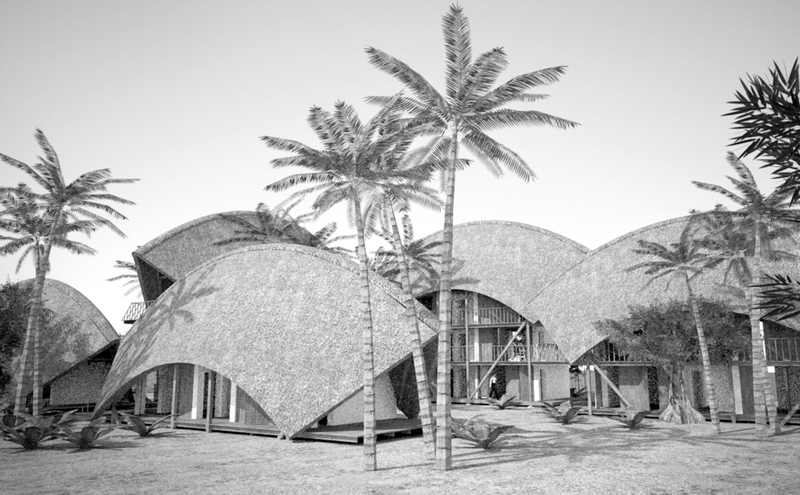 The canopy structure creates a shelter from rain and provides an area with “warm shade”, cancelling out the harmful UV-radiation in the mid day sun. 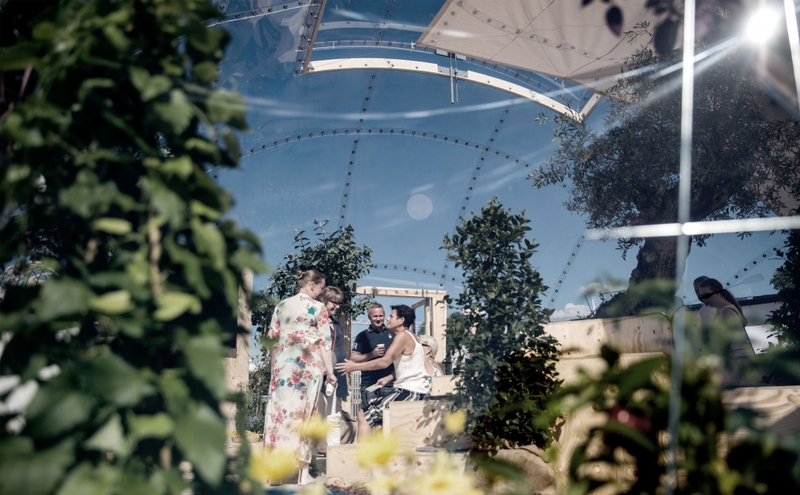 We chose to do development on a canopy system, because we think that many public spaces could increase in value, if they offered a sheltered space specific to the local climate. Dome of Visions 3.0 is the third dome in a series of experiments. 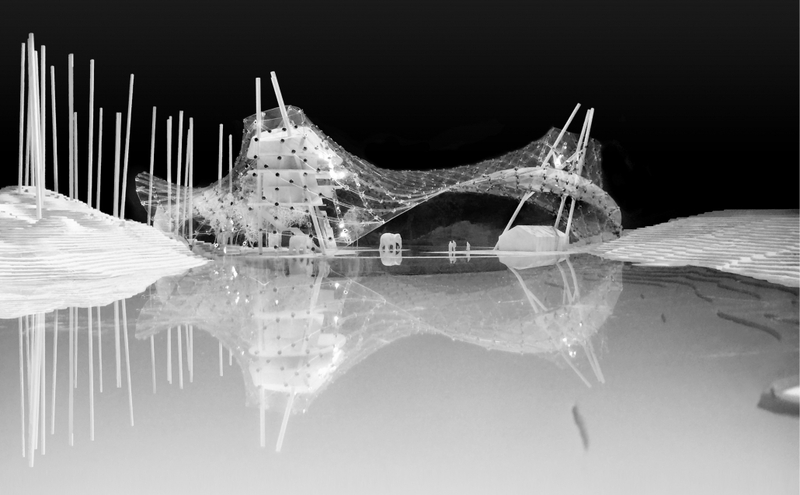 DoV is an experiment that aims to create knowledge about how it affects our architecture and our well-being to build inside a greenhouse and work with a passive and solar heated space as a building envelope, that generates a third climate as the majority of the area we use. 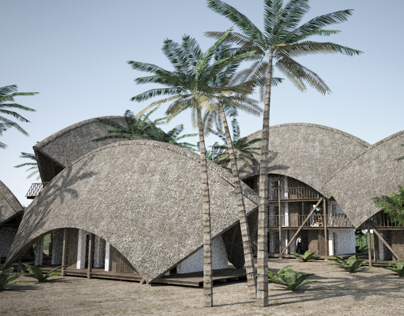 A space that is neither inside nor outside and therefore provides a better space for a meeting between man and nature. 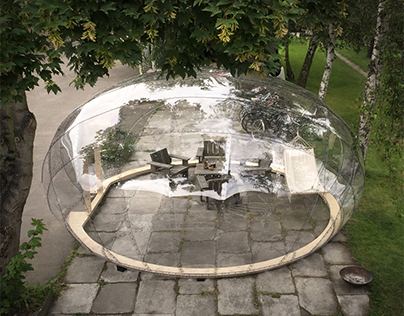 Dome of Visions 2.0 is the second dome in a series of experiments. 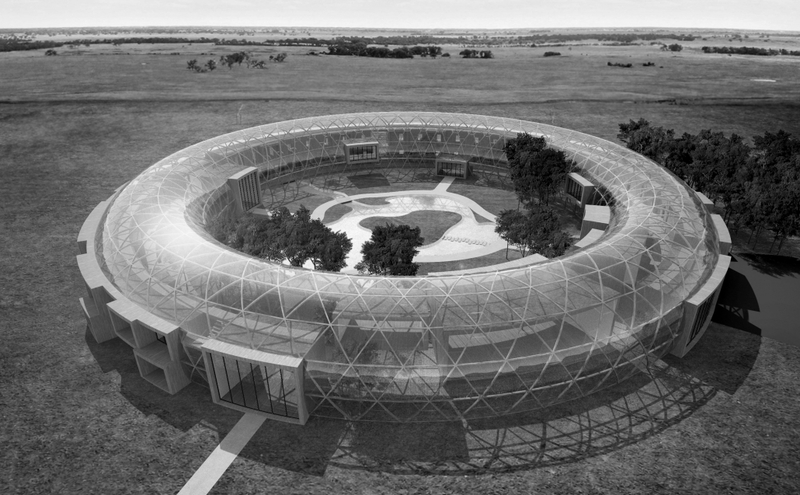 DoV is an experiment that aims to create knowledge about how it affects our architecture and our well-being to build inside a greenhouse and work with a passive and solar heated space as a building envelope, that generates a third climate as the majority of the area we use. 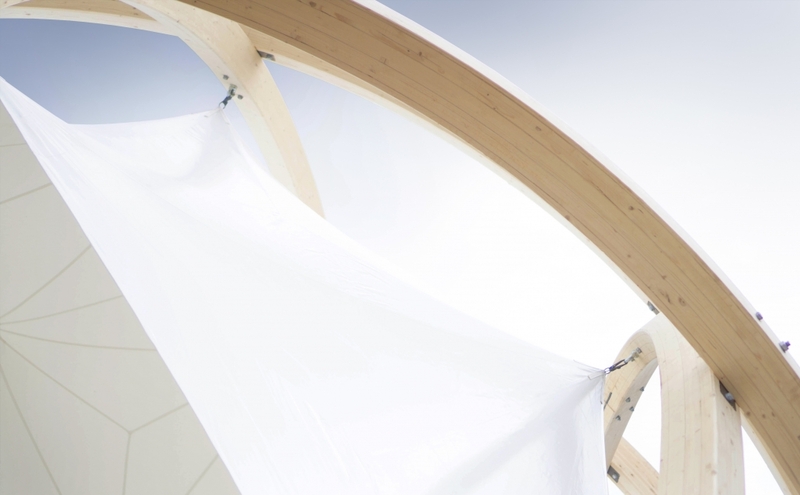 The Mini-DoV was designed for the Swedish Peoples Meeting, Almedalsveckan, in Almedalen. 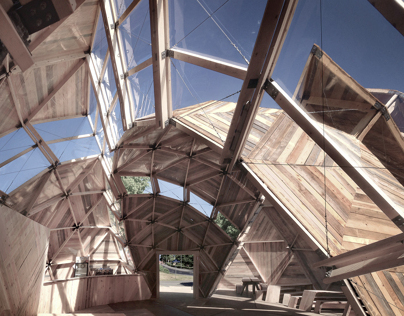 The dome is self bearing and made from polycarbonate sheets on a base of CLT wich allows a two-day setup. 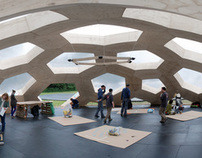 The project was a study of the possibilities with CNC cut CLT and a first test of a stereographic projected geometry, as alternative to regular geodesic geometry, prior to the Dome of Vision 2.0. 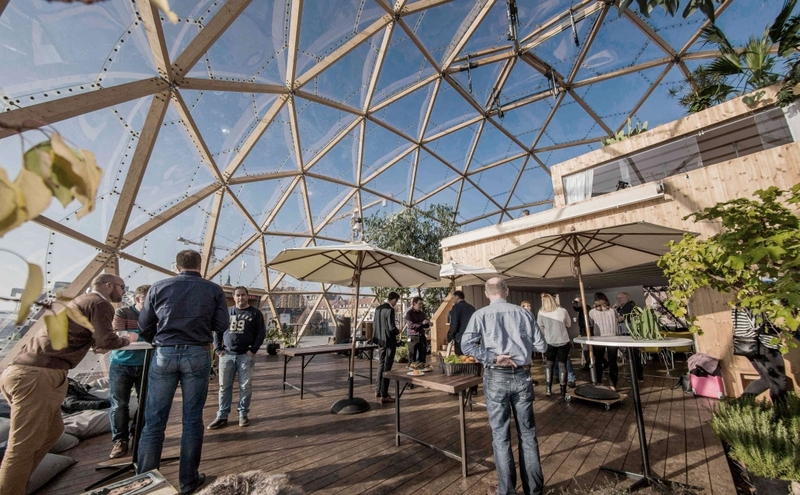 The deconstructed dome for the Peoples Meeting at Bornholm was in 2014 build as a permanent building. 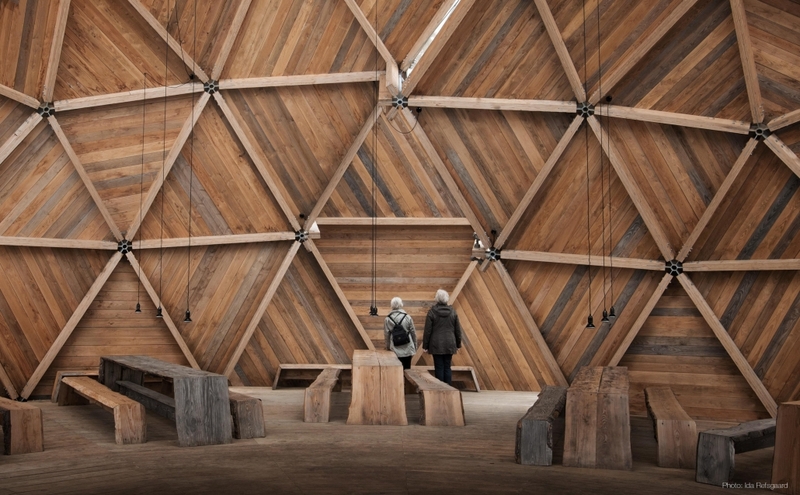 The building is both a Conference room and symbol for the annual Peoples Meeting and form a framework for exhibitions, debates and cultural activities the rest of the year. The building has a 600 m2 terrace and stage facing the ocean and contains a 68 m2 basement. 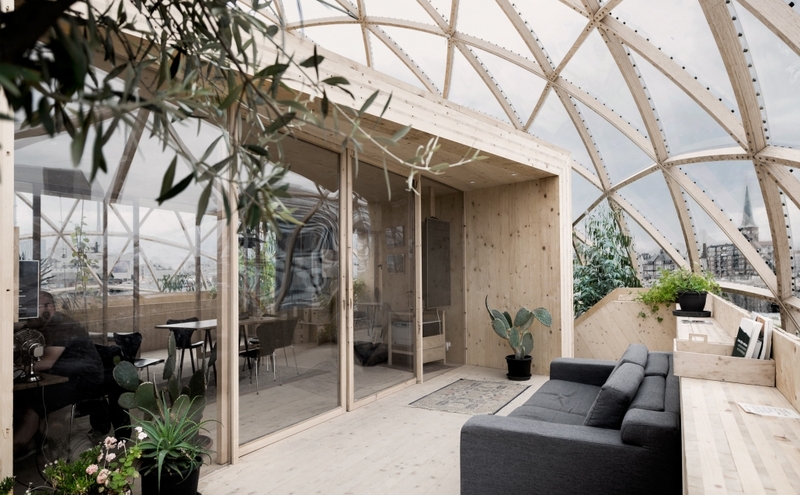 Dome of Visions is inspired by the classic geodesic geometry, with a LVL wood beam construction covered with polycarbonat sheets. 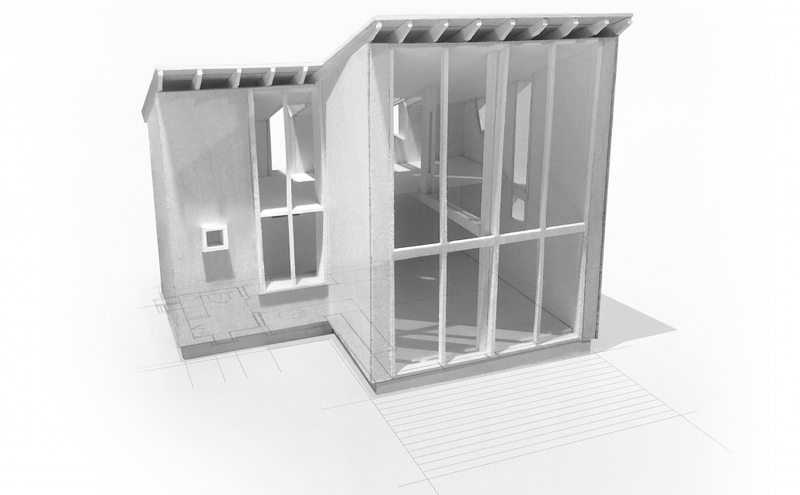 The aim of the project was to create an experimental space to research the principle of building with a seperated building envelope. 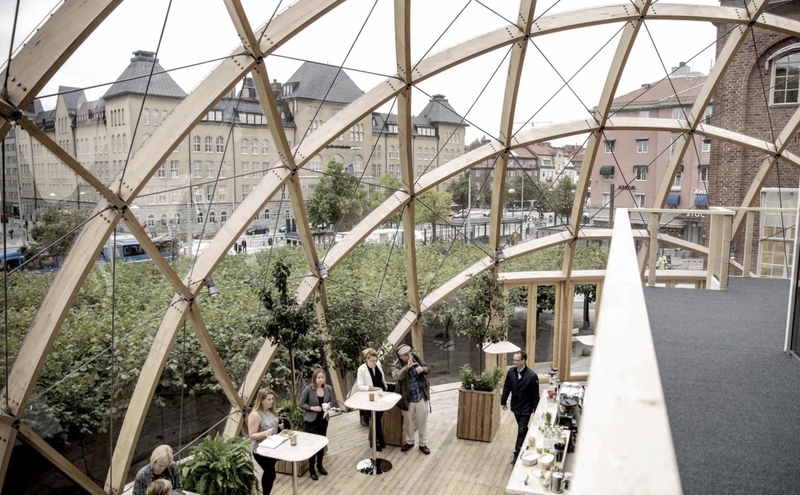 The house inside is 100% wood based and low cost, and the project served as pavillion when Copenhagen was European Green Capital in 2014. 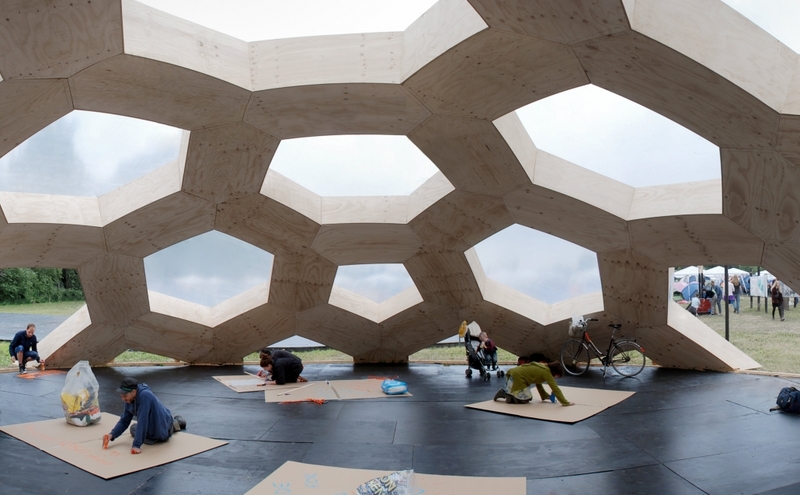 The Plywood Dome build at the Danish music festival, Roskilde Festival. 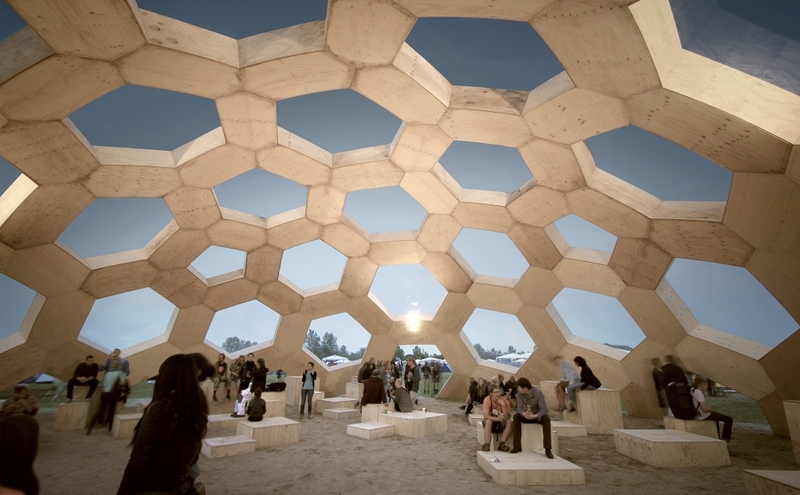 The dome was been rebuild every summer at the festival for several years. 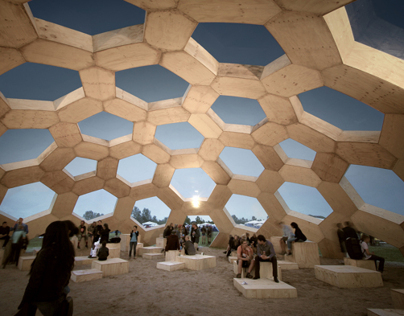 The first dome was made in 2011 and later upscaled. 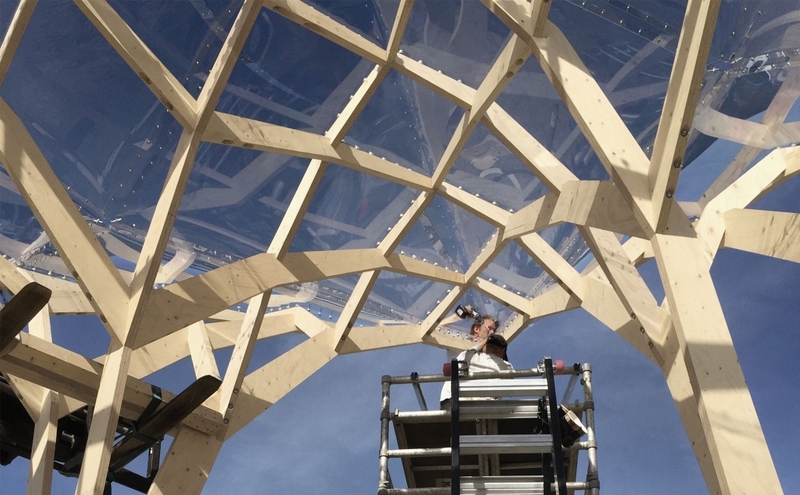 The dome is constructed from CNC milled recycled plywood used to set up the festival space. And covered with a simple greenhouse membrane. Peoples Meeting Dome for the danish Peoples Meeting at Bornholm. 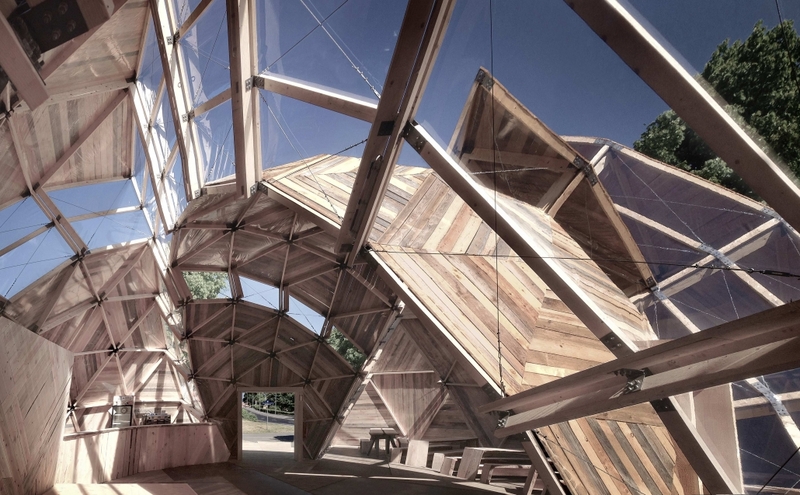 The building was done with a prefabricated structural system, and clad with reclaimed, locally sourced wood. The niches and crevices generated by the deconstruction of the dome, allows for different functions to fit into the interior. 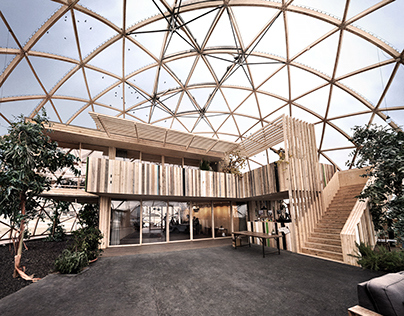 The two temporary pavilions were build in 2012 and 2013 for Denmarks Public Housing, in order to generate debate on the future of housing. 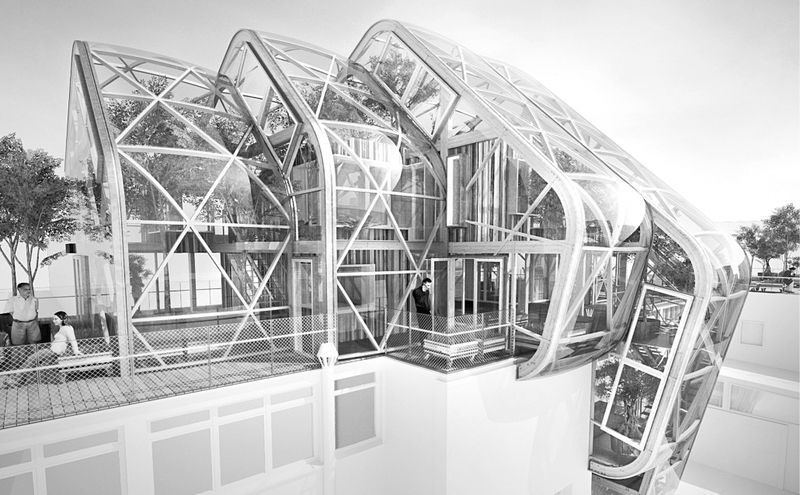 The “Greenhouse School” portfolio entry is currently under construction, please come back later. 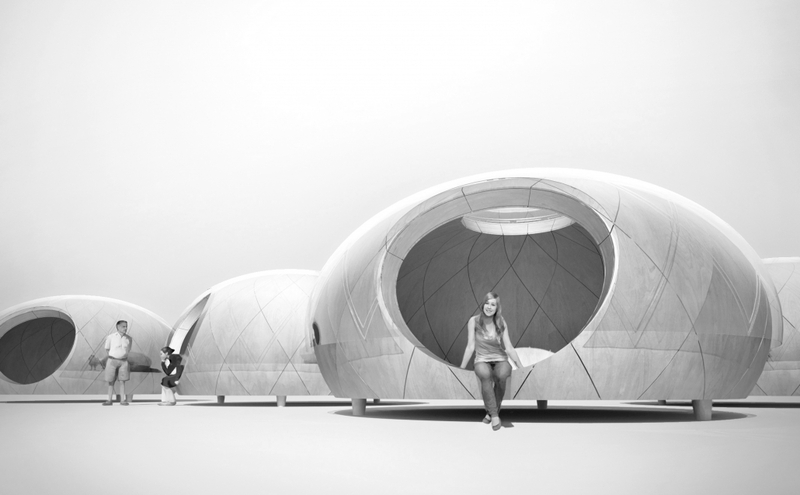 The “Stargazing Shelters” portfolio entry is currently under construction, please come back later. The “House in Christiania” portfolio entry is currently under construction, please come back later. The “Elephant Refuge” portfolio entry is currently under construction, please come back later. The “Climate Conference Center” portfolio entry is currently under construction, please come back later.